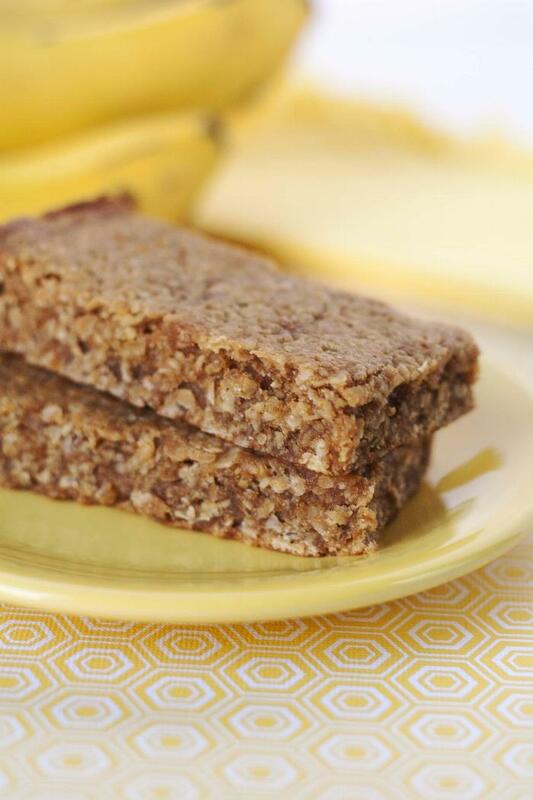 Banana bread meets peanut butter oat bars in this soft and chewy snack. 1Preheat oven to 350 degrees. Line an 8" x 8" x 2" baking pan with parchment paper, trimmed or folded so that only two sides hang over the edge and the other two don't go up the sides of the pan. Lightly grease the parchment and exposed pan or spray with non-stick cooking spray. 2In a large bowl combine oats, oat flour, crisped rice cereal, baking soda and salt. Mix well and set aside. 3In another bowl, mash banana with a fork until smooth. Add peanut butter, honey, brown sugar, vanilla, and cinnamon and stir to combine. 4Pour the peanut butter and banana mixture over the dry ingredients and stir well to combine. 5Pour into the prepared baking pan and press down firmly with your hands, using another piece of parchment paper or wax paper to keep the mix from clinging to your hands. 6Bake on the center rack of your oven for about 18 to 20 minutes, or until the edges just start to turn golden brown. 7Remove from oven and allow to cool completely before cutting into eight bars. 8To store, wrap the bars individually in plastic wrap or store in an airtight container. Can be refrigerated to prolong life or frozen if desired.